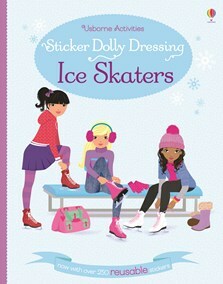 Dress the dolls in beautiful costumes for ballet on ice, training outfits for the rink, a variety of ice skates and lots of glamorous accessories to wear as they skate. With over 250 reusable stickers and a back cover that folds out to make a “sticker park” where children can store stickers while they work. Perfect for young skating enthusiasts.